Continuing from one of my previous posts, which talked about the Best Sedan in India for 2012, here is a detailed researched countdown, to view the best Sedan in India for 2013. The research is conducted with 37 different brands of Sedan available currently in India, the prices are ex-showroom prices in Delhi, and mileage considered is as specified by ARAI. #2. Hyundai Fluidic Elantra 1.8L Dual VTVT 6-Speed Automatic. #1. 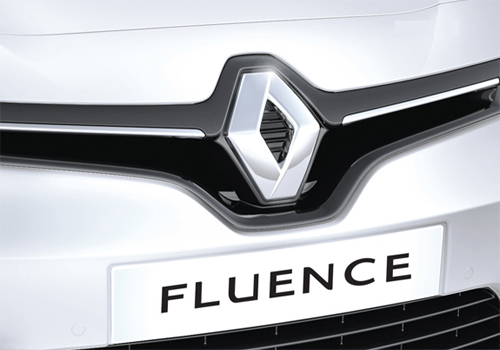 Renault Fluence Diesel E2. Volkswagen is known to be one of the most stylist carmakers in the world. The first Golf GTi was launched by VW in 1976. 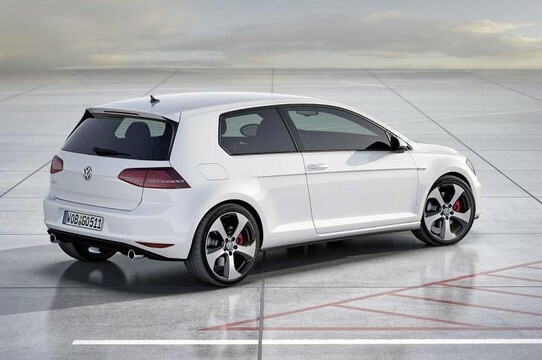 The Hatchback design and Keyless-access with push-button start is always there in GTI. But, the speciality in this version are the Logo-Integrated hatch handles, Bi-Xenon headlights with LED Daytime Running Lights with AFS turn upto 15 degrees. What’s more? You get 18” Detroit alloy wheels which not only give your car a great look, but are also strong, light, and wrapped in high-performance rubber. While a multifunction steering wheel is very common in most of the cars these days, the Interlagos-plaid comes standard only on the GTI. Available are top sport seats on the GTI feature leather seating surfaces, extra bolstering to hold you in place, and an embossed GTI logo in the headrest. Add to this, the heated front seats with 3 different settings. And, as Volkswagen puts it, you may not be a sports car driver, but that doesn’t mean you shouldn’t have race-inspired sport pedals. The 2013 VW GTI has a turbocharged engine with 200hp and 207 lb-ft of torque on its standard model. The electromechanical power steering is a more responsive, fuel efficient, and eco-conscious steering method than the conventional steering. The XDS (Cross Differential System) helps anticipate inside wheel spin, and actively directs power to the outside wheel, thus giving you more control at the turns. Integrated into the front structure are impact-absorbing elements, which compress during a collision, so that an impact on the car does not impact you. Add to that, 6 airbags with Side Curtain protection. The ESC (Electronic Stability Control) helps prevent oversteer or understeer during an evasive maneuver by applying corrective forces to each of its wheels. Need more? You get the great ICRS (Intelligent Crash Response System) which unlocks the doors, turns off power to the fuel pump, ad turns on the hazard lights automatically, in the event of a collision or crash. The technology on any VW is unparalleled in the industry, when it comes to production cars. The 2013 Golf GTI has the 300W Dynaudio Premium Sound System with 8 premium speakers and DSP (Digital Sound Processor) technology. It has a Premium VIII touchscreen sound system with Bluetooth. So, once your device is synched, you can make phone calls and stream your music without taking your hands off the steering wheel. 3 year/36,000 mile (whichever occurs first). No-Charge Scheduled Carefree Maintenance™ Program. What kind of an organization would you like to join? This will, at all probabilities, be asked by your job consultant when you are looking for a shift. So, would you join a company which earns high revenues? Or, would you like an organization which has its own perks? Would you like to join one which gives you the maximum health benefits? Or, will it be the one which is the most employee-friendly? Or, will you just look at the amount of money it deposits into your bank account at the end of the month? This company is all about healthcare products’ sales and distribution. CEO Arjun Handa claims that Claris has a presence in 91 countries all over the world. With the Pharmaceutical Industry growing by leaps and bounds all over the world, this company is worth a watch, if you are looking for a fast-growing career in the Pharmaceutical field of work. With over 7000 employees under its payroll, this company has made it to the 12th spot in this list, owing majorly to its goodwill and employee satisfaction. This company is a well-known name worldwide for its Right-On-Time delivery of shipments and packages. They have the most extensive domestic network in the world, covering over 33,734 locations and have services spread across more than 220 countries and territories worldwide through DHL. Taj Hotels is by far, India’s answer to the world’s Hospitality industry. Incorporated by the founder of the Tata Group, Mr. Jamsedji N. Tata, the company’s flagship hotel is the Taj Mahal Palace Hotel, Mumbai. The company completed its first centenary in the year 2003. Taj Hotels offer jobs ranging from the post of an Executive Chef, to that of a Hotel Manager. This is perhaps the most surprising entry into the Top 10 list. 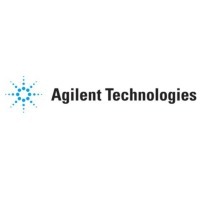 Agilent Technologies is nothing more than a spin-off of the Hewlett-Packard Company. From a small garage in Palo Alto, California, to employees around the world serving customers in 110 countries, Agilent has a long history of innovation and leadership in the communications, electronics, semiconductor, test and measurement, life sciences and chemical analysis industries. NIIT? One of the top 10 places to work in India? Wow! Sounds amazing. Doesn’t it? NIIT is a leading Global Talent Development Corporation, building skilled manpower pool for global industry requirements. It’s neither Airtel, nor Reliance, that makes it to the top 10 for this year. It’s Qualcomm. In July 1985, seven industry veterans came together in the den of Dr. Irwin Jacobs’ San Diego home to discuss an idea. Those visionaries—Franklin Antonio, Adelia Coffman, Andrew Cohen, Klein Gilhousen, Irwin Jacobs, Andrew Viterbi and Harvey White—decided they wanted to build “Quality Communications” and outlined a plan that has evolved into one of the telecommunications industry’s greatest start-up success stories: Qualcomm Incorporated. Born in USA, this company has spread its wings across the globe, through 74 countries and territories. #6. American Express India Pvt. Ltd.
Over the past few years, this company has grown by leaps and bounds, not only in terms of revenue, but also in terms of Corporate Social responsibility and Employee-friendliness. It is recognized as the most innovative company in the Banking and Financials sector. It is the world’s largest card-issuing organization, by purchase volume. With a workforce of over 63000 employees worldwide, and USD 31.6 Bn of annual revenue, this is one of the most sought-after companies. #5. Forbes Marshall Pvt. Ltd.
No. This has nothing to do with the Forbes magazine. This company manufactures Steam Engineering and Control Instrumentation products. Forbes Marshall’s goal is to provide solutions in Energy, Efficiency and Process Automation, using the best technology the world has. #4. MakeMyTrip India Pvt. Ltd.
Have you ever imagined why the prices of tickets bought through MakeMyTrip costs more than most other Travel Management companies? I don’t have the answer either. But, it seems that this company is one of the most employee-friendly companies in India, and one of the very first in the Indian travel industry to make it big. Over the past 5 years or so, MakeMyTrip has truly revolutionised the travel industry in India and the world. They offer you flight/ train tickets, Hotel bookings, car rentals, etc. In short, if you want to visit a place, these people can get you booked for the entire trip, with you having a complete peace of mind. A government-owned company in the top 10? Now, that’s something substantial to take note of! Along with AMD, this company is one of the very firsts chip-producing world companies to trust India. Set up at the Silicon valley of India, Bengaluru, this company has a huge workforce consisting of Indians. Founded by Larry Page and Sergey Brin in 1998, this name is well-known to even the most uneducated lad in India and the world. Their in-office environment is arguably the best in the world. So, there you go. None of the so-called Indian-IT-Giants make it to the list. In fact, the looming opportunities in the Indian IT industry, the number of circumstantial job cuts, and the so-believed-employee-unfriendly policies followed in these companies have made the scenario even worse for the big giants like Wipro, TCS, Cognizant, HCL, and CTS. It can now be very well said that the “high-paying-jobs” are no more the ones in the Indian IT industry. It’s time to look beyond the obvious, and make difficult choices for yourselves, for a better future!